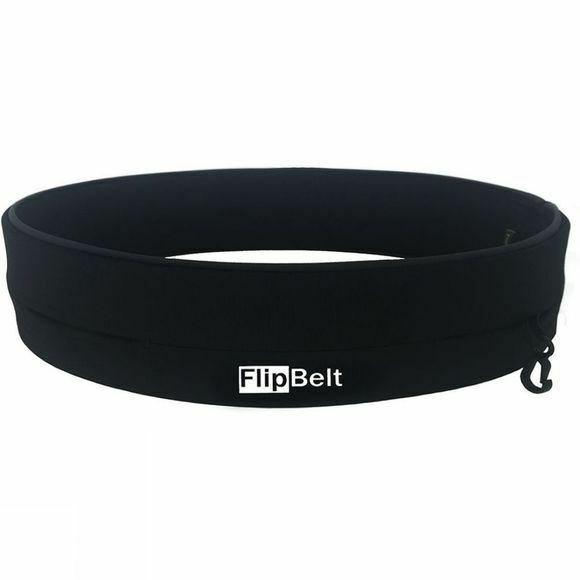 The Flipbelt is an entire tubular pocket allowing plenty of room for all your goodies. With no buckles to cause uncomfortable chafe, simply pull it on like a pair of pants, place over or under clothes, and easily slide in your stuff through the multiple openings around the belt. 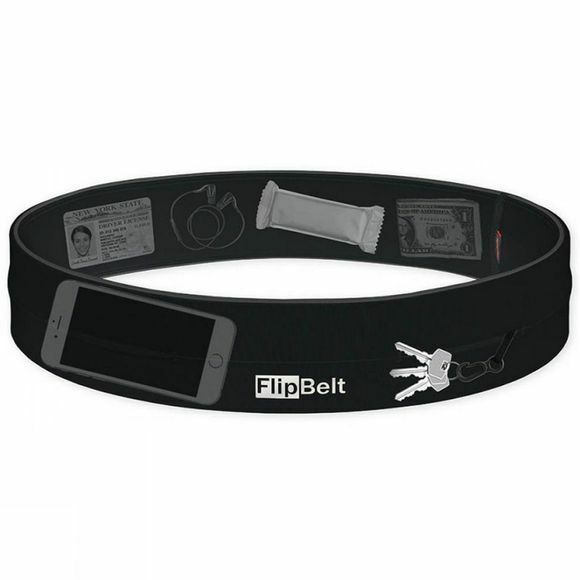 The even design virtually eliminates belt bounce & movement during activity for the most comfortable experience. Superior stretch/recovery, flat seam & minimal construction provides the ultimate comfort, most don't feel it on at all. Turning the entire belt over closes openings and locks items inside.